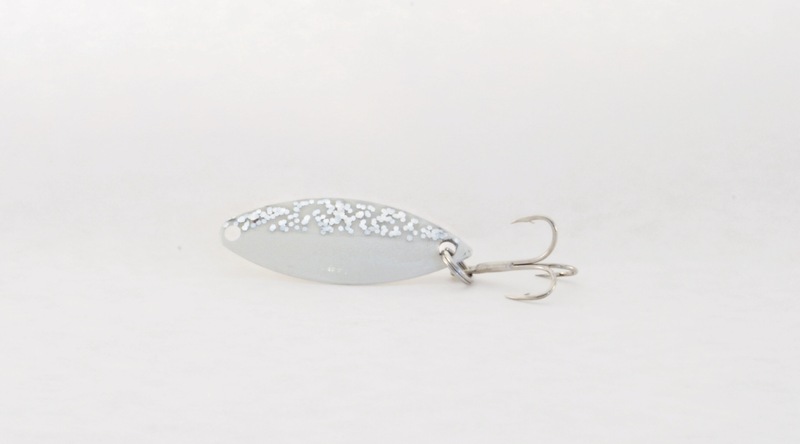 Metal lure with a flashy silver back and a glow-in-the-dark belly. 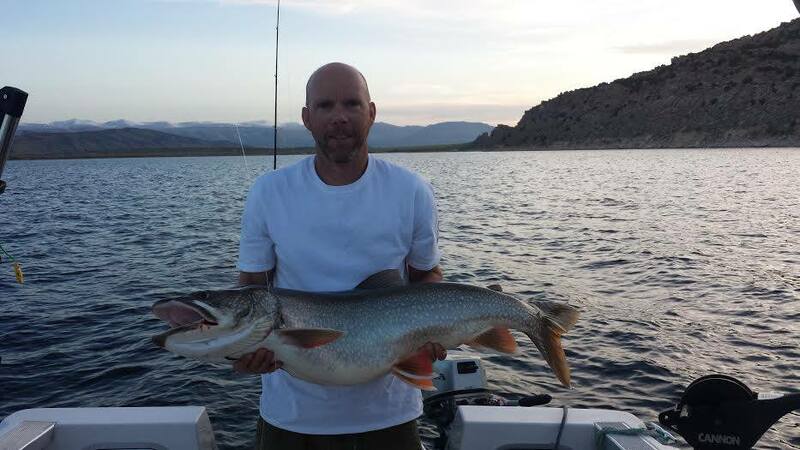 One of the best lures in Captain Steve’s tackle box, the After Dinner Mint has the remarkable ability to catch all different types and sizes of fish. It has caught 48 lb. 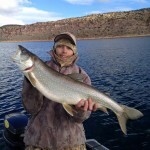 lake trout, kokanee, large mouth bass, and browns. This is a go to lure. This glow in the dark lure should be trolled at 2.0 to 2.25 mph . 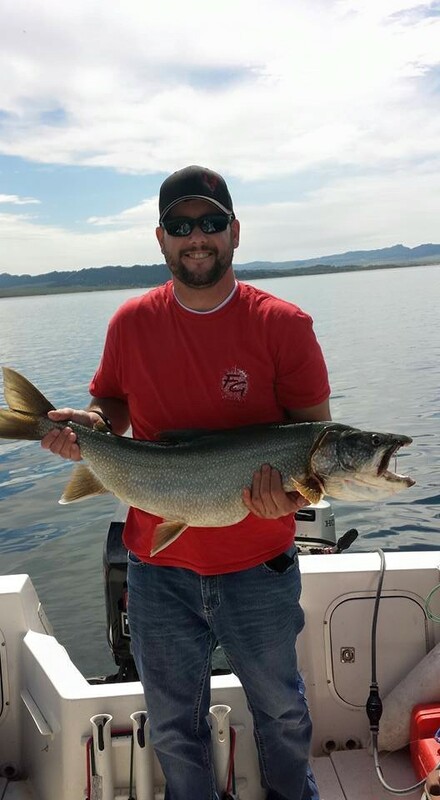 For lake trout and browns, troll it 100 to 200 feet back, right on the bottom. In other words, put your down rigger ball in the mud. 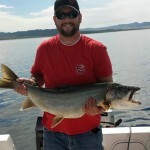 For kokanee, troll 6 to 50 from the ball and from 30 to 50 ft down. A dodger may help. 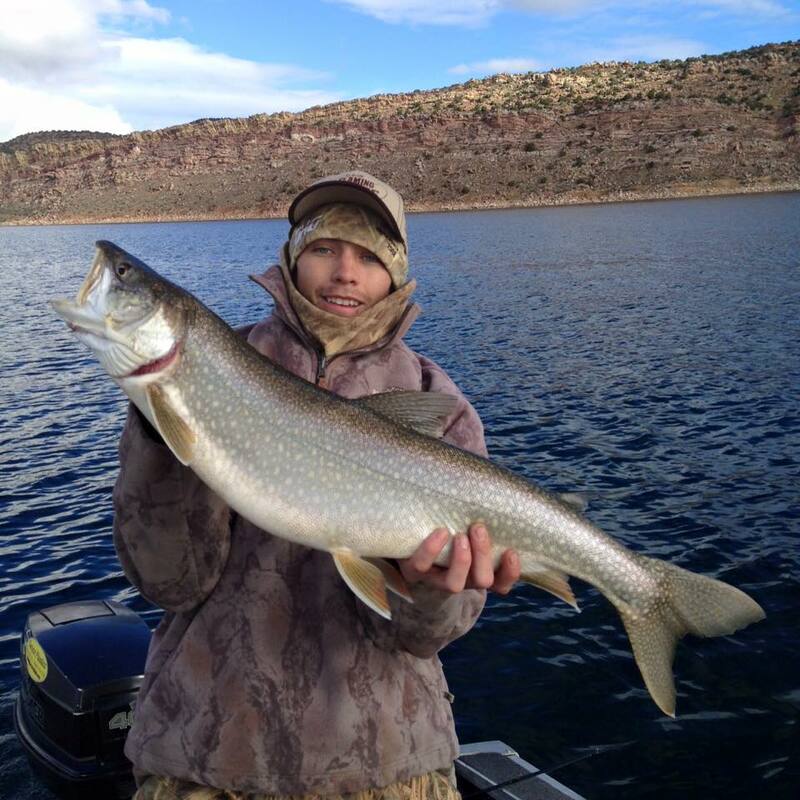 For striper, wiper, & other trout, troll in open water 50 to 100 ft back, from 1 to 30 ft down. 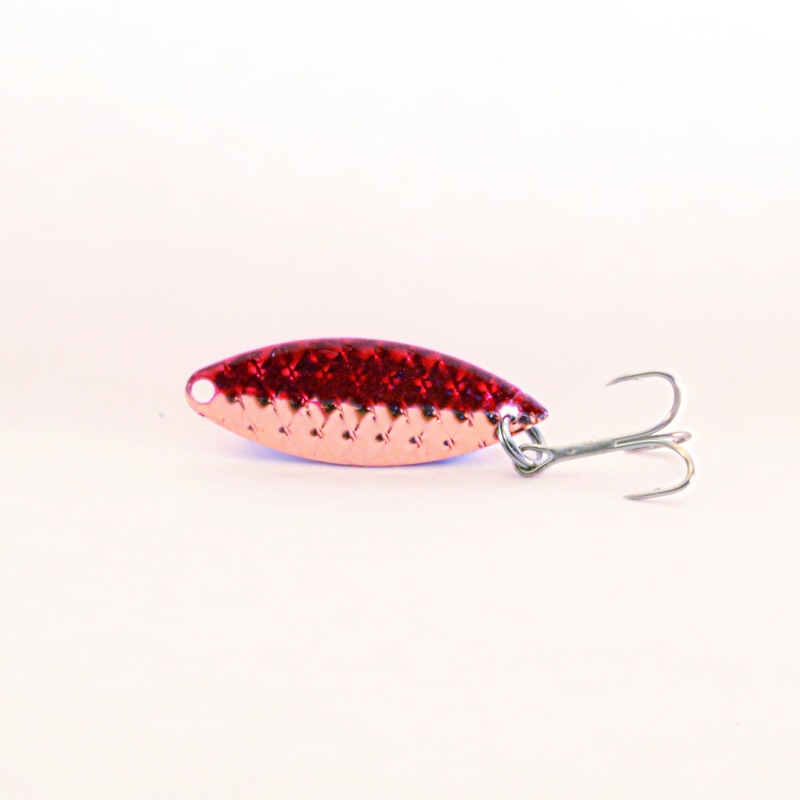 Ranked #1 Brown Trout Lure by Captain Steve. 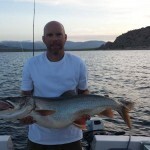 Ranked #1 Striped Bass and Wiper Lure by Captain Steve. 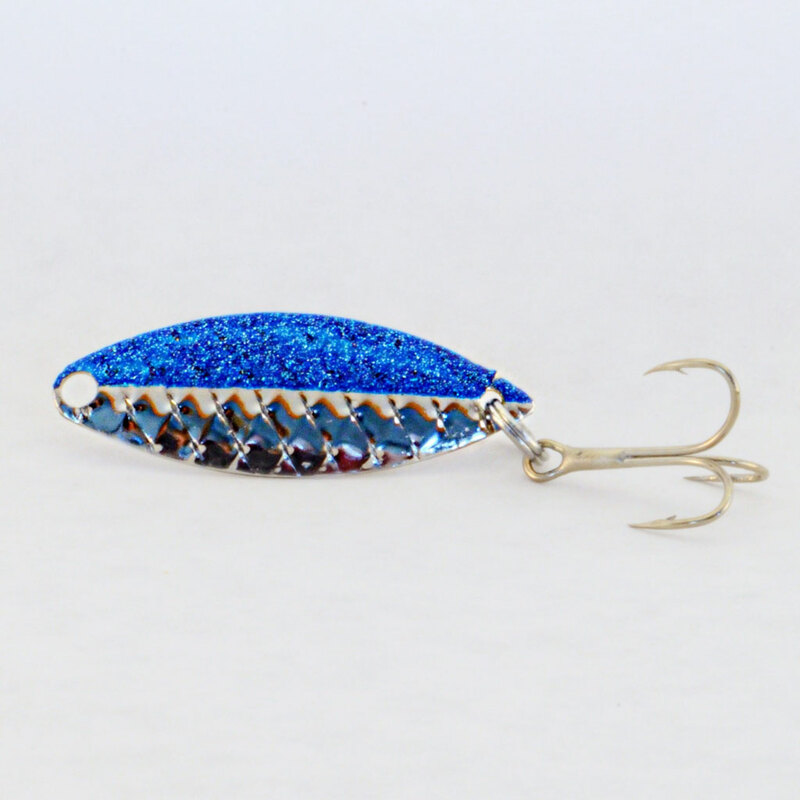 Ranked #1 Bass Lure by Captain Steve. 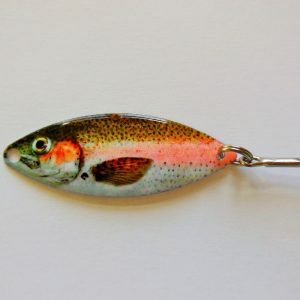 Ranked #4 Rainbow Trout Lure by Captain Steve. 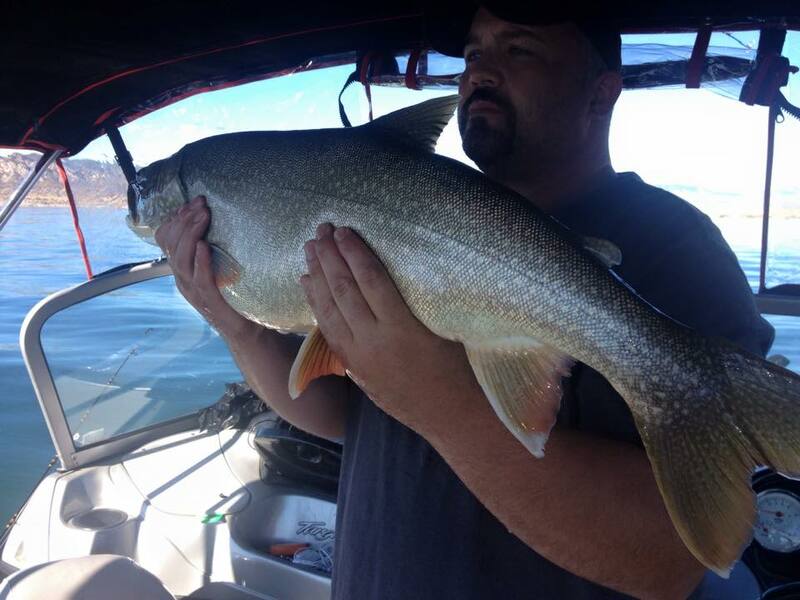 Ranked #5 Lake Trout Lure by Captain Steve. 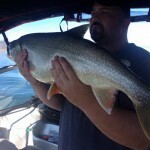 Ranked #8 Cutthroat Trout Lure by Captain Steve.